Featuring a wide range of printed mouse mats which are ideal for any marketing or promotional activity and priced to meet all budget requirements. Mouse Mats permit your company to be extremely noticeable with your publicity ! Iit is a sure bet that a mouse pad will be a most well received promotional item or gift. Most computer users will need a mouse mat. With a Custom Mouse Pad you plainly place your companies promotional details in front of your client or potential consumer every time they are working on their computer. Mouse mats won’t let your audience forget your company even if they want to. Now isn’t that your type of advertising? This is a influential and successful advertising tool! A custom printed mouse pad will boost name recognition with your clientele. We have all types of shapes counting, round, square, kidney , the large A2 size. We also have the Ergonomic Gel Mouse Mat. Printed mouse mats make for the prefect brand awareness tool that you can get for your business. They are very useful to have about. A Clear Mouse Surface is used to cover the print for a longer lasting life and functioning superiority. Colours on hand: Full colour custom designed, Grey Base Colour – Clear Mouse Surface Mouse Mats. Price: $55 Set up . The price below does not include design and applies to our Standard rectangle mat please inquire about pricing for other shapes and sizes. For orders over 500 units please contact us for a quote. In today’s fast moving world of cut throat competition, every company is looking for new methods of advertising to woo its customers and create a presence in the market. To advertise their products in an effective and unique way, many companies are now resorting to the use of promotional items for marketing their products. Of the numerous promotional items available in the market some of which are refrigerator magnets, notepads, rack cards, presentation folders and mouse mats, the latter are the top sellers of the category. This is because of the utility they provide to every computer user to protect the mouse from getting damaged and make it function smoothly. Due to their immense use, these printed mats are used by many organisations as their sales promotion vehicles. Most business houses get the mouse mats imprinted with their brand name, logos, address, contact numbers, product details as well as colourful graphics and motifs and distribute them during various sales promotion events like trade fairs, road shows, business meetings, corporate seminars and other such events. These printed mouse pads can be gifted to your existing clients, prospective customers, employees, and business partners. By gifting these mouse mats embossed with your brand name, you will be able to advertise your brand far and wide, tap the newer sections of the customers and improve your relationships with your business associates and shareholders. With these small items, you can improve your company’s sales promotion prospects and create a niche in the market. Also, because of their use, they are liked by everyone and they disseminate the message of thoughtfulness on the part of the company for having presented the recipients with such useful items. These printed mouse mats last for years together and are constant reminders to the users about your brand and the products and services offered by you. Another advantage of using mouse mats is that they are very cost effective and will even fit a shoe string budget. 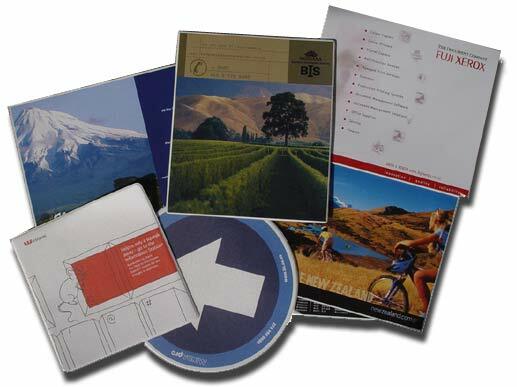 For more details on promotional mouse pads, log on to Earth First’s website www.print.org.nz, New Zealand’s popular online promotional products store. Here, you will find a large variety of quality promotional mouse pads at the most affordable prices. Also, you can have these mouse pads personalised to change their shapes into ergonomic ones, use colourful motifs and pictures on them or go for mouse pads with attachments such as calculators and gel filling. So, gift some of these amazingly printed mouse mats to your customers and promote your brand easily.